Dr. Joseph Brence is a physical therapist practicing in Pittsburgh, Pa. When he is not busy treating patients, he is involved in several, large clinical research projects. 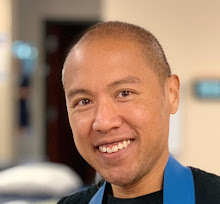 His interest is to further determine “how stuff works” and has a large interest in the brains involvement in the pain experience as well as the neurophysiological effects of manual therapy techniques. Recently, there has been a lot of discussion in the “PT community” about approaching the care of painful conditions from a biopsychosocial approach vs. the typical biomedical approach. These two methods differ theoretically and Dr. Religioso has graciously asked if I would contribute a guest post on the treatment of pain from a biopsychosocial approach. I hope after reading this article, we could engage in a fruitful discussion about what we do, why we think it works and what science is telling us about how it works. Step 1: What is pain? The International Association for the Study of Pain (IASP) defines pain as “An unpleasant sensory and emotional experience associated with actual or potential tissue damage, or described in terms of such damage.”1 This definition highlights, in one sentence, one of the most essential things we must understand about pain when treating our patients …nociception (which is input from nociceptors—unmylenated, danger receptors) is not necessary for the experience of pain. Pain is 100% of the time an output from the brain based upon many different variables, and simply the brain’s suspicion that a tissue has the potential for damage, will cause it to react. This reaction results in a conscious experience, which is crucial for our safety and survival.2 The brain’s reaction can be based off of an interpretation of sensory input from the body, previous experiences of pain, social and/or environmental influences, expectations of consequences of the threat, beliefs/logic, etc. The reaction by the brain is based off its interpretation of the idea, “how dangerous is this threat?” If the brain determines the threat has potential to harm the body, it will send pain to that area, to protect.3 This sensory experience causes us to react and defend our tissues. It causes us to pull our hand away from a hot stove and unknowingly assume postures and change positions in order to preserve the integrity of our tissues. Step 2: How do we understand how our patient is experiencing pain? In the understanding of this classification, we must consider that most tissue injuries take a certain length of time to heal. When a tissue is damaged, an output of pain can occur to protect it (this leads to an adaptation within the pain pathways). The longer the nervous system reacts to protect the tissue that is supposedly damaged, the more efficient it becomes at sending an output of pain to protect that region. This causes the nervous system to become more “sensitive” and in some cases, simply the suspicion that a tissue is in danger will cause it to react. We must understand that this process occurs. Our patients, who we once classified as having chronic or difficult low back pain symptoms, may have not had pain because their spine was unstable, hypomobile, or arthritic, but instead because a central sensitization of the nervous system has occurred. Step 3: What is the biopsychosocial approach to treating pain? Moving past the neuroanatomy of pain, we must also understand that pain does not simply occur due to the tissues of our body but instead because of an even more complex relationship that exists between the biological (anatomical and physiological), psychological and social factors that occur concomitantly in many conditions. This understanding leads us to treatment patterns using a biopsychosocial model. As PTs, we must understand that painful conditions may not always be related to the tissues of our body, but instead a complex interaction of internal and external variables. Step 4: How do we incorporate this knowledge into effective treatment? I believe the best way to incorporate these concepts into practice is to: 1. understand our diagnostic limitations 2. utilize pain education 3. incorporate graded exposure for the treatment of pain 4. understand what happens when we touch our patients and 5. never provoke pain. These concepts may not change your interventions per se, but will instead change your rationale for when to use them and why you think they are working. 1) Understand our diagnostic limitations. As PTs, we often like to blame specific tissues for our patient’s pain. We will tell them that their pain is due to a strained muscle, restricted fascia, a slipped disc, etc. but how truthful are we being in these statements (you don’t have to admit this out loud, just think about it)? Many of our palpatory tests are unreliable and unless we are utilizing diagnostic imaging (which has its own limitations), how do we know what exactly we are touching, besides the skin, and how we can be sure that what we think we are touching is causing our patients pain. I recommend instead, classifying each patient’s condition utilizing the criteria I detailed above and approach treatment with an understanding of each class. For example, if the patient is in a process of central sensitization, research indicates they are hypersensitive to thermal stimuli. So application of hot/cold modalities may actually lead to an increased pain output and be more detrimental than beneficial. Classifying pain in these three groups can help us formulate a more scientific plan of care. 2) Utilize pain education and incorporate them into the care. If we want to truly be called “Doctors of Physical Therapy”, we must educate every one of our consumers… plain and simple. The term doctor is actually derived from the latin term doctoris which means teacher. Literature is indicating that there is a significant value in the education of healthcare consumers about “pain.” By teaching our patients that multiple variables can influence their pain, such as the context in which they experience it, will help them understand why other past interventions may have been unsuccessful. In this process, we actually may have to “undo” some of the education we have previously provided, but in doing this, we will be more evidence-based, honest clinicians and I guarantee most patients will respect and appreciate this. I recommend reading more about this in this piece by Dr. Lorimer Moseley. To begin with graded exposure, I generally utilize a patient specific functional scale, Tampa scale for kinesiophobia, FABQ, etc. to look at situations which my patient perceives as threatening. Exercises and goals are then designed to gradually perform activities which they they were unable to do due to fear. For example, let’s say we have a patient who has complaints of back pain one year after a lifting injury (It was injured when they attempted to carry a 50lb crate up a ramp). We would begin graded exposure treatment by having the patient actively assume positions necessary to lift a crate. We would progress the patient by moving into these positions while visually looking at the crate followed by lifting of an empty crate. Eventually, we would add weight to this crate and have them carry it on a level surface and progress to doing so up a ramp. In this case, the patient was able to approach the task in which the brain perceives as threatening and gradually work to overcome the fear. This approach is much different than having the patient perform pelvic tilts until their core is stable. Manual therapy is extremely important to our profession and patient care, but this stated, I think we must understand our limitations of understanding how it works. Because this is “The Manual Therapist’s” blog, I do not want to go into great deal with this subject, but want to say that modern neuroscience does support interhuman interactions (so if you have a method of manual therapy that makes sense in regards to modern neuroscience, use it). Whether the effects are biomechanical, neurophysiological, or placebo (there is a wide range of literature to support all three of these notions---most recent literature pointing to the latter two) my only recommendation is that we do not perform techniques which the patient perceives as threatening or limits their expectations for recovery. Quite simply, we shouldn’t poke at something that hurts but instead only help the patient move a restricted body part within their pain limits. This is a simple principle to understand. Current evidence does not support the phrase, “no pain, no gain.” We must attempt not to push our patients into pain, because as described above, the more afferent nociception that occurs, the more sensitive the nervous system can become, which can lead to central sensitivity. We must be conscious that pain is a defense mechanism and if our patients complain that we are making them do something that hurts, we must back off. Summary: In summary, I have highlighted how we can incorporate modern neuroscience into a biopsychosocial model in the treatment of our patient’s painful conditions. Pain is the costliest condition for our modern US healthcare system and we must admit, none of us hold the “holy grail” knowledge or intervention at eliminating all of our patient’s pain. I believe if we take into account what science is telling us, we can ultimately do a better job with patients who may have not gotten better in the past. edit: Here is my response.